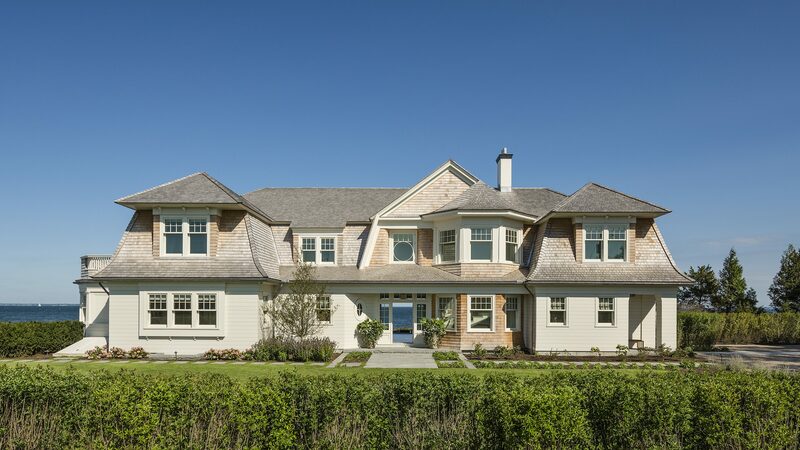 The design of this house is a modern interpretation of the gambrel-roofed, shingle-styled homes along the east coast waterfront. 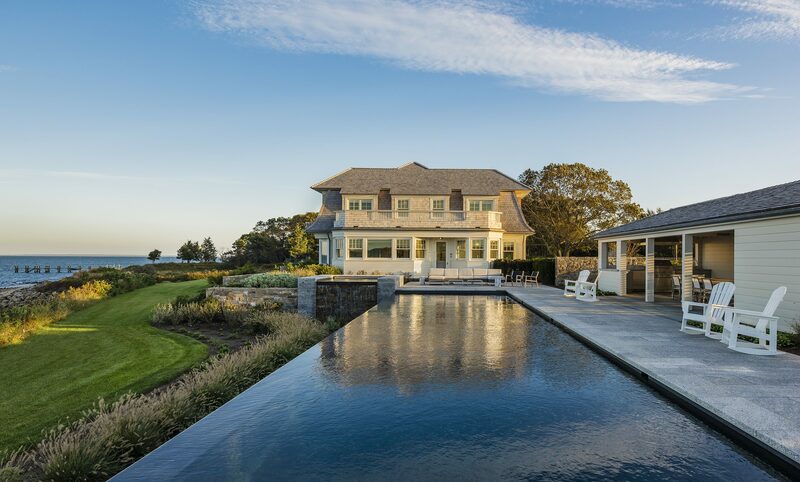 The main house and pool are sited to take advantage of the spectacular view of the ocean, beaches and a wooded marshland. 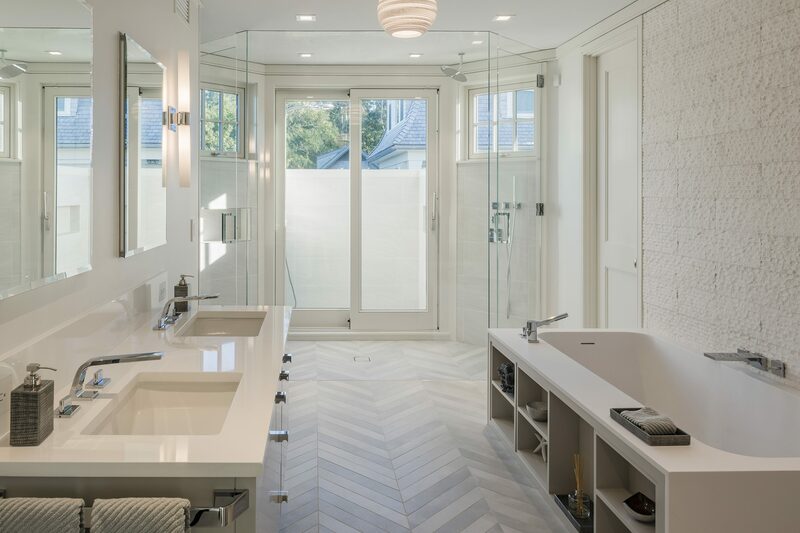 While the exterior of the house and garage reflect the traditional use of shingles, white trim, and double-hung windows, the interiors are fresh and modern, reflecting the owners taste for simplicity and informality. 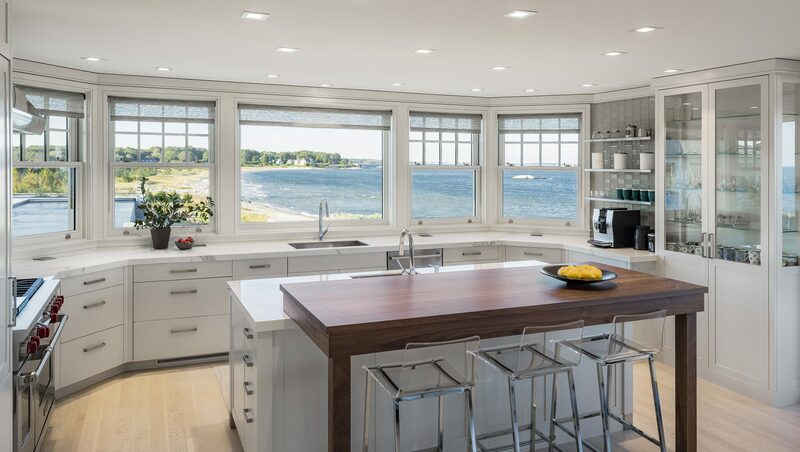 The glass wall system in the open-concept dining and living room allows for an uninterrupted view to the ocean and exterior patios. 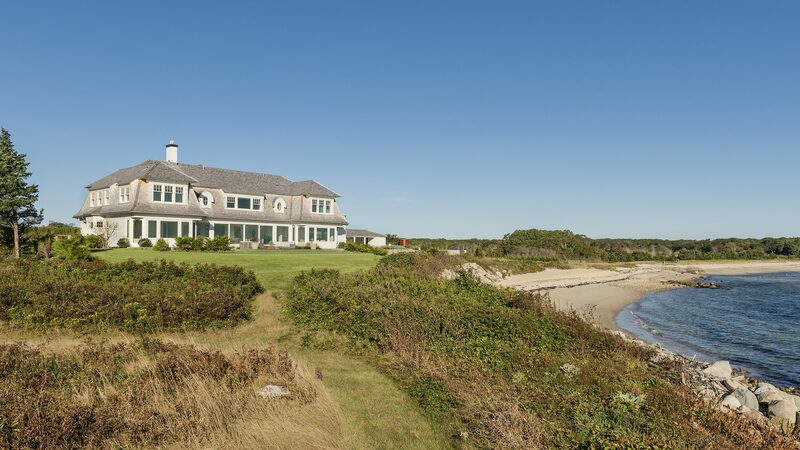 A geothermal system provides heating and cooling, creating a more energy efficient house. A two-car garage contains a second-floor guest suite. The poolside cabana is equipped with a full kitchen, half bathroom, and uniquely designed mahogany circular outdoor shower.